After being immersed into the world of bathroom fixtures and tiles for a few weeks, I discovered that whenever I enter a bathroom, I immediately survey what sink basins, tiles and bathroom fixtures were used. So, when I recently stayed at a hotel, I was surprised that they would use a Grohe showerhead. 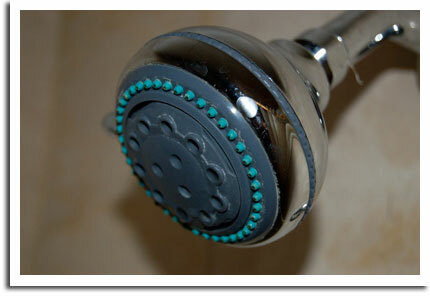 I was right (in part) because the showerhead wasn’t a Grohe. But, it was close enough to fool me at first glance. Take a look at the Grohe Relaxa Plus Top 4 Shower Head and judge for yourself.